Since the FWAA’s inception in 1941, one of the organization’s primary tasks has been to provide better working conditions for writers across the nation. Over the years, the FWAA has awarded press box commendations to deserving schools, as well as conduct ratings of sports information departments. Criteria employed in determining the winners not only included how press boxes and media operations were operated, but also the quality and timeliness of information provided. Also judged was the amount of information presented and appropriately updated on websites, and personal responsiveness to media inquiries as well as the accessibility of a program’s players, coaches and assistant coaches. The ratings also considered those departments that went the extra mile in servicing the media. The Super 11 Committee received input from other FWAA members and others who covered college football during a period from Feb. 1, 2015 through Jan. 31, 2016. The Football Writers Association of America, a non-profit organization founded in 1941, consists of more than 1,300 men and women across North America who cover college football for a living. The membership includes journalists, broadcasters and publicists, as well as key executives in all the areas that involve the game. The FWAA works to govern areas that include game-day operations, major awards, a national poll and its annual All-America team. 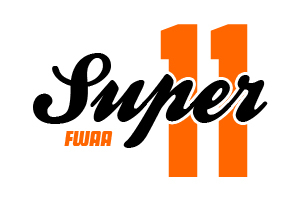 For more information on the Super 11, contact committee chairman Tim Griffin (210-823-3666, tgriffin@express-news.net) or visit the association’s official website, footballwriters.com.